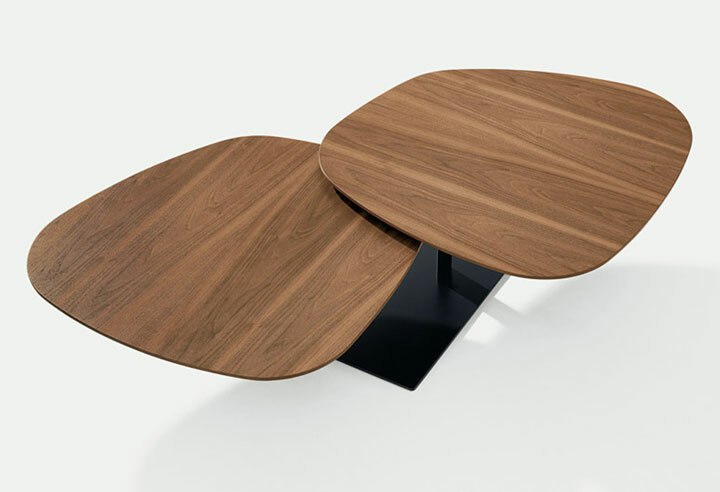 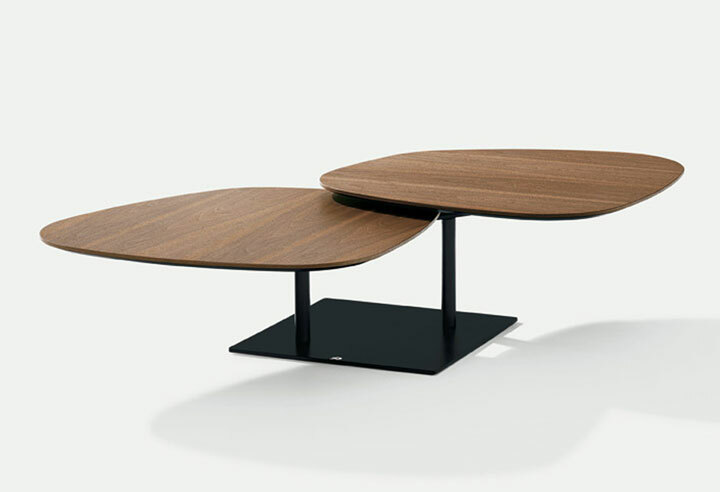 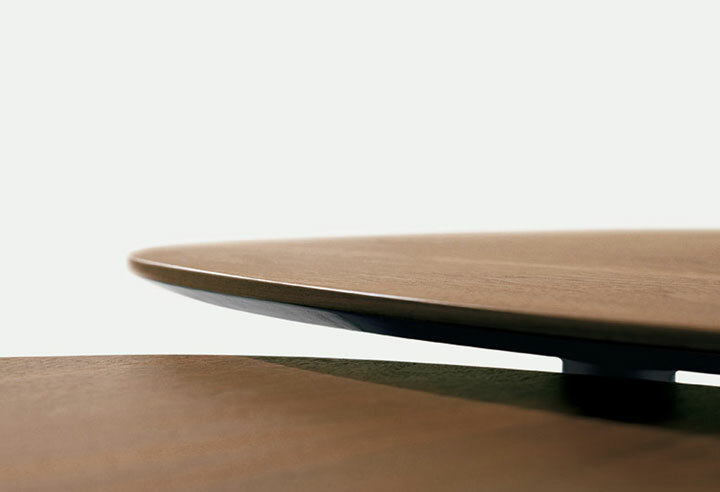 This is a coffee table of the draenert metamorphoses series with two organic shaped table tops from veneer wood which seem to float above the floor. 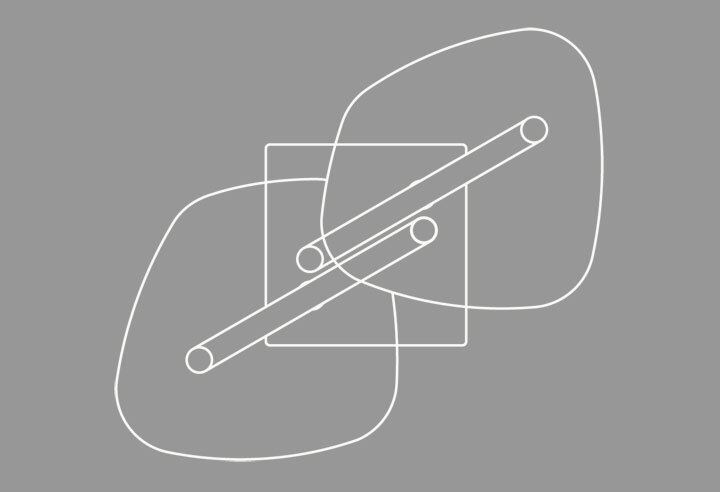 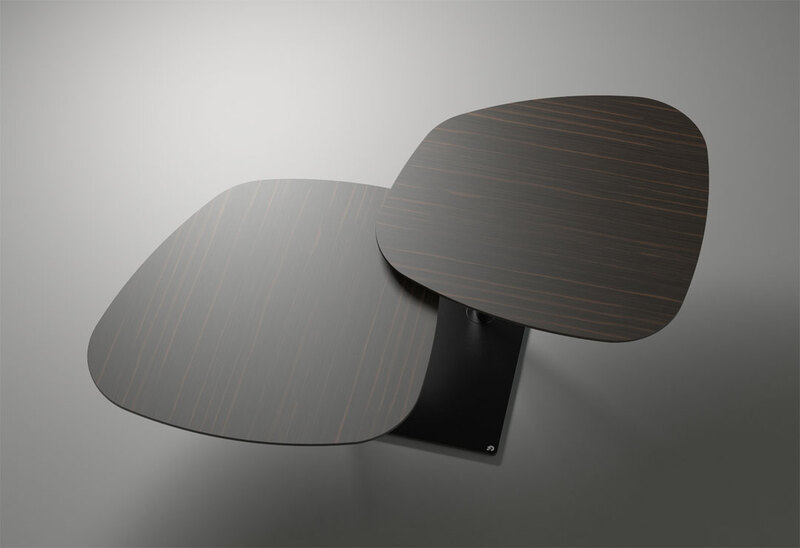 The synchronous movement of the lightly overlapping table tops reinforce the clear style language of the table. 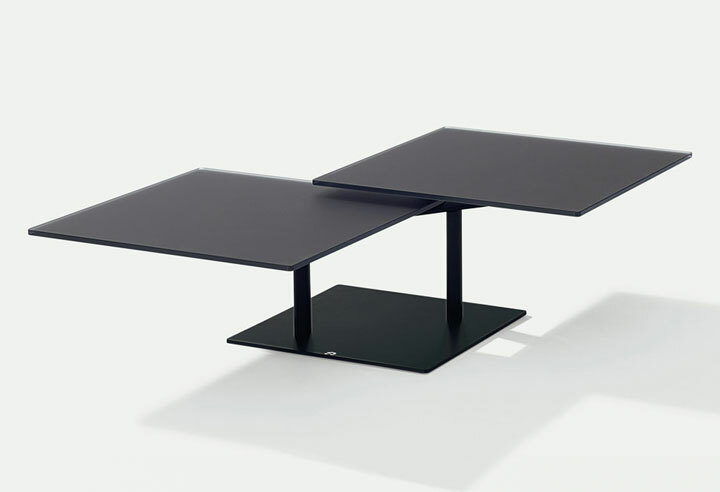 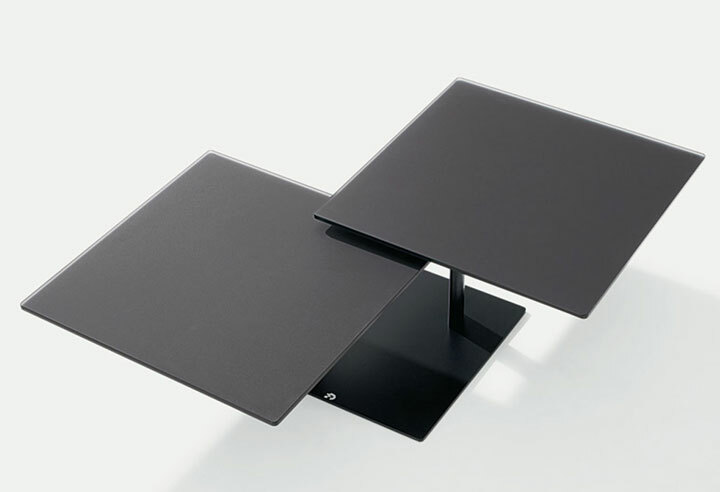 The table is also available in satinized and lacquered glass.